Breathtaking log cabin home in Prescott! This home has a country feel but very close to city amenities. It is surrounded by the pines and other mature trees. You walk up to a beautiful porch that gives you plenty of space to enjoy all four seasons that Arizona offers. The living room is separate from other living areas, giving you space to unwind. A country kitchen filled with plenty of space to store all your cooking supplies. It includes two sinks which makes for great cleanup after entertaining a crowd. This kitchen is a wife's dream! The master bath is spacious with a beautiful walk-in shower. Fenced backyard perfect for your 4-legged friends. 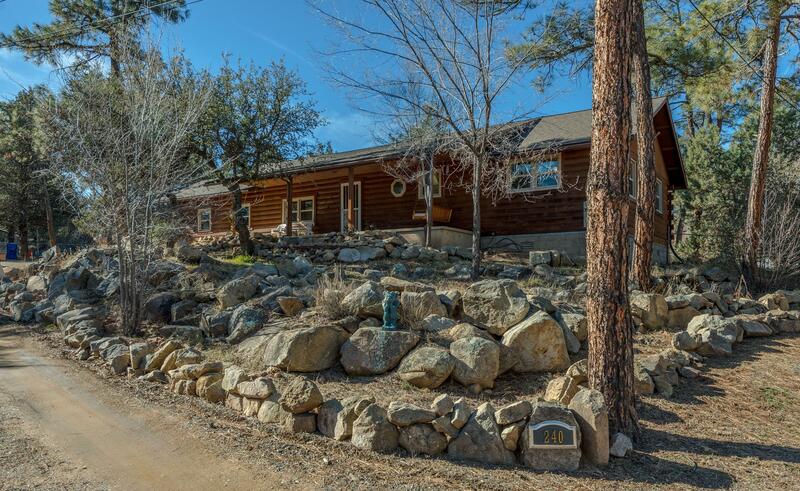 This beautiful cabin in the woods will go fast. Schedule a showing today.